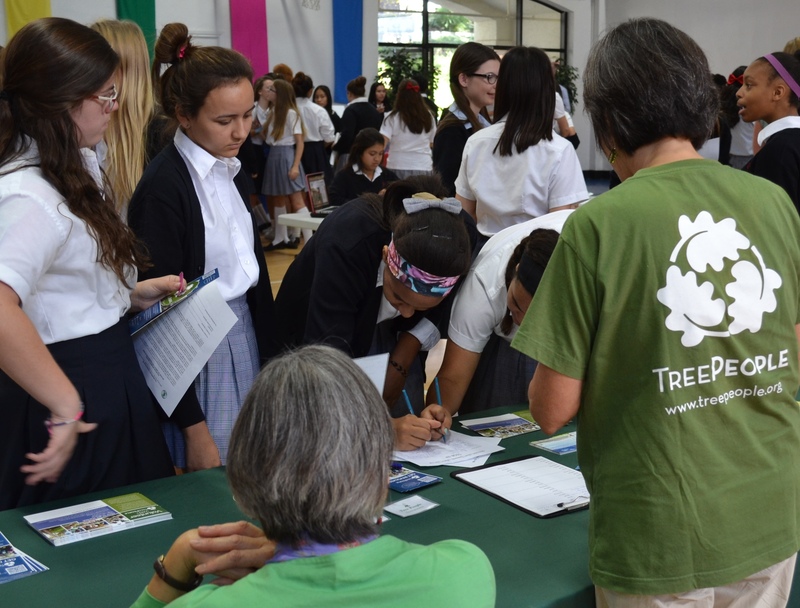 IH students eagerly attended this year’s Community Service Fair, which featured more than 30 organizations and a range of volunteer efforts supporting everything from the environment to animal rescue. Among those agencies represented in the school auditorium were Alexandria House, the Braille Institute, Casa Esperanza, the Corita Art Center, Friends of Griffith Park, Guide Dogs for the Blind, Homegirl Café, Jewish World Watch, Kenmore (IHM) Residence, the Los Angeles Public Library, the Machao Orphanage Foundation, Muttshack, Project Angel Food, Sante D’Or, Special Spirit Equine Therapy, St. Vincent’s Meals on Wheels, and the Tree People. 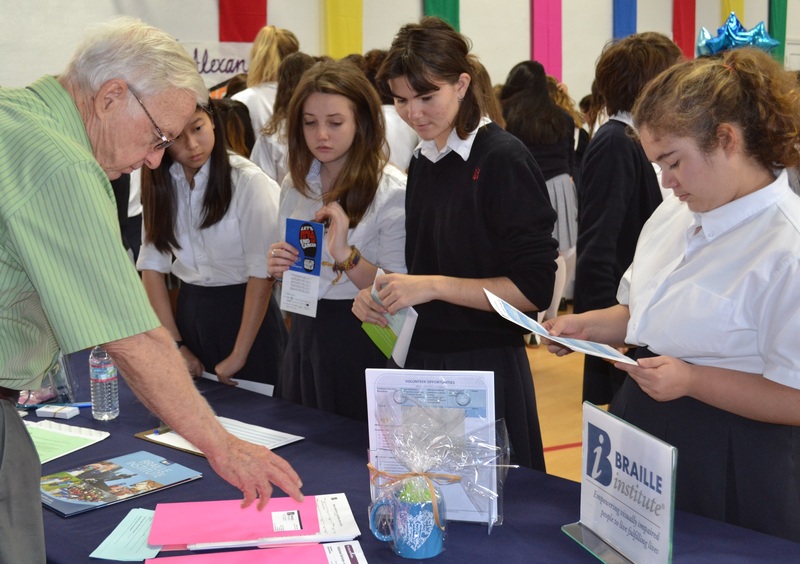 Additionally, several students manned tables featuring service learning projects they had created. For example, sophomore Young Lee described how her tutoring project, called “Infinity and Beyond,” reaches out to undereducated children of migrant workers in the Fresno area. Each week Young and a group of other students tutor as many as 20 students via video chat using Google Hangouts. Also represented were other student efforts, including the IH Tech Team, math tutoring and writing center. Junior Danielle Damas spoke enthusiastically about the information offered by the agencies. 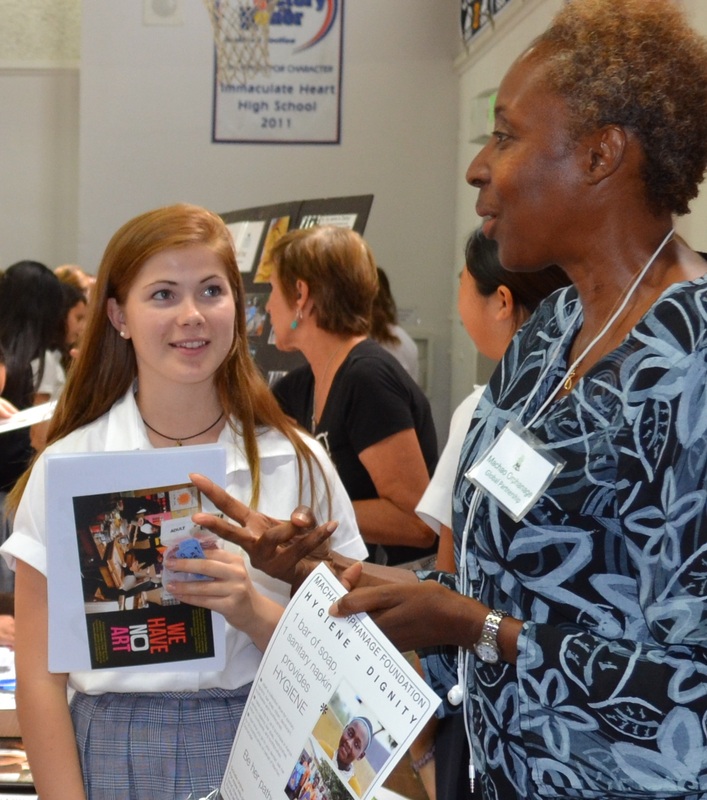 “The fair was informative and helpful, so I could narrow down my interests while volunteering,” she said. The student later signed up to help at the Sante D’Or animal adoption center in Atwater Village. Although the center is far from her home, Damas said the chance to work with animals intrigued her enough to make the commute. 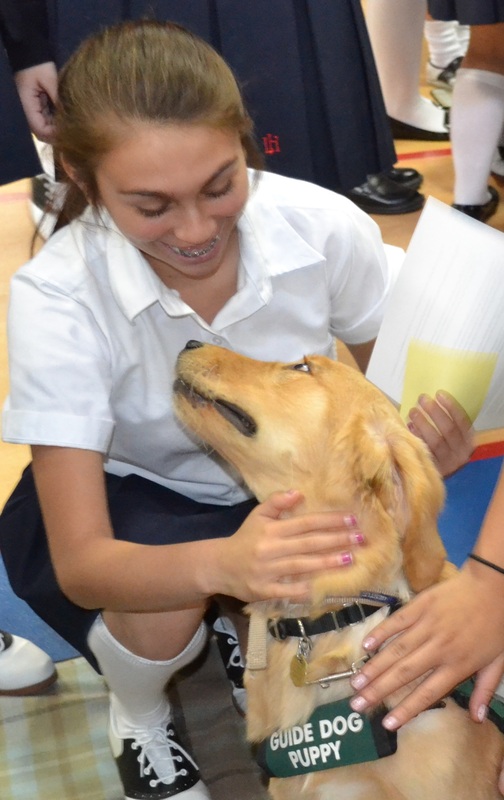 As many as 40 members of Immaculate Heart’s Community Service Team organized the event. According to community service director Maria Pollia, the team spent months of planning and preparation for the fair in hopes of offering a variety of ways students could serve the Los Angeles area. “My goal as community service coordinator is to provide ideas and opportunities that will lead each student to the understanding that her best talents and greatest joys can be practiced and deepened in service to others,” said Ms. Pollia.